"Why must I climb that mountain? Because it's there." "Why must I play that board game about climbing a mountain? Because it's there." Well, the logic seems flawless to me, anyway. 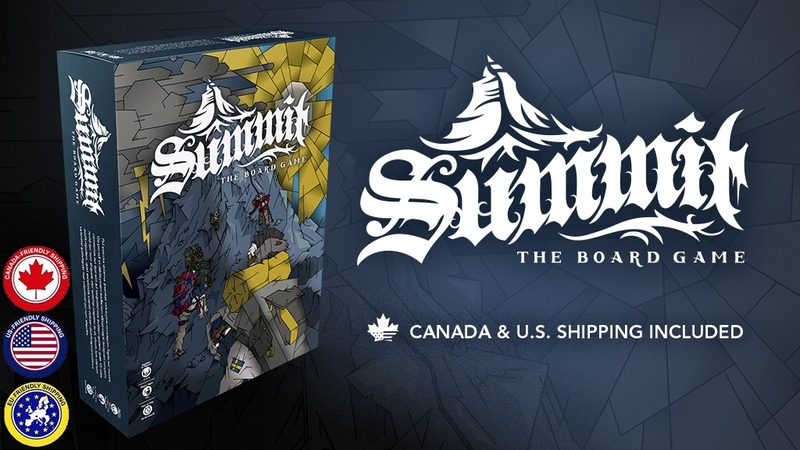 Summit is a new board game about climbing mountains and they're up on Kickstarter, looking for some funding love. In the game, players are mountain climbers looking to be the first to get to the top of the mountain. There's tile-placement, tile-manipulation, area control, push-your-luck, and dice-rolling elements to the game. Climbing mountains is dangerous, of course, and so care must be taken. Many people also see it as a religious experience, and karma certainly plays into the game as you play cards that can help or hinder your opponents which will move your character along the Karma Track. The Kickstarter campaign is up and running now. They've got 23 days left to get to the top.